Blog to End the Occupation: Thank Disney for Denouncing Ahava! 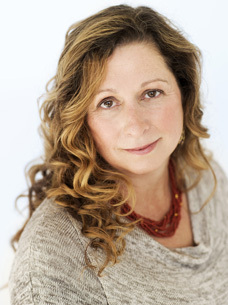 Our member group CODEPINK is asking supporters to sign their e-card to thank Abigail Disney for disowning her share of her family's investment in Ahava cosmetics. Shamrock Holdings, owned by the Disney family, is believed to have an investment worth around $12 million in the company. “I cannot in good conscience profit from what is technically the ‘plunder’ or ‘pillage’ of occupied natural resources and the company’s situating its factory in an Israeli settlement in the Occupied West Bank," she said. Make sure to send her a thank you! This is just the latest victory for the Stolen Beauty Campaign and BDS. Earlier this month the General Assembly of the Presbyterian Church-USA passed a resolution to boycott all Israeli settlement products, specifically naming Ahava products. The campaign's next target is Nordstrom, and you can send a letter demanding the department store stop selling Ahava products. And make sure to register to join us at our National Organizers' Conference September 21-23 at St. Louis University to celebrate this and many other recent BDS victories.